“Input Tax” in relation to a taxable person, means the Goods and Services Tax charged on any supply of goods and/or services to him which are used or are intended to be used, during furtherance of his business. 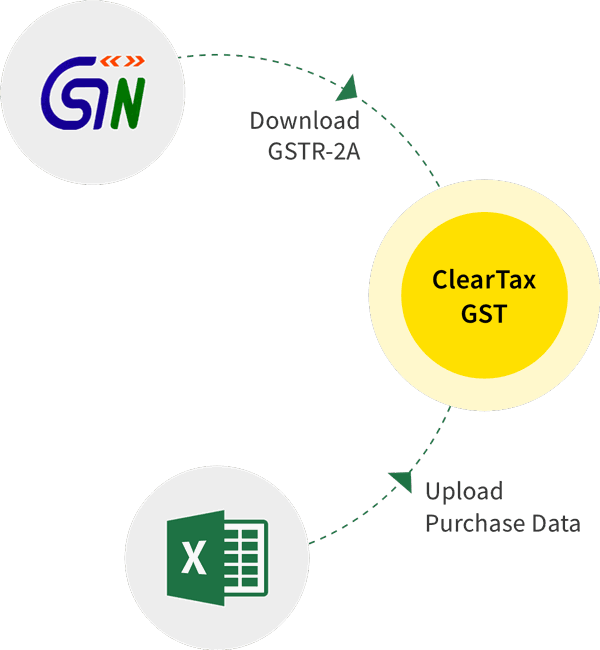 Fulfilment of Input Tax Credit under GST – Conditions To Claim is one of the most critical activity for every business to settle its tax liability. ITC being the backbone of GST and a major matter of concern for the registered persons, conditions for eligibility to ITC and eligible ITC have been prescribed which is more or less in line with pre- GST regime. These rules are also quite particular and stringent in its approach. 5. Where goods are received in lots or installments ITC will be allowed to be availed when the last lot or installment is received. The Due date of filing GST return for September 2018( FY 2018-19) is 20th October 2018 and the Date of filing GST Annual Return for FY 2017-18 is 31st December 2018, whichever is earlier will be the time period within which XY Corp has to claim ITC. Therefore, the date is 20th October 2018 and XY Corp can claim this ITC in any of the months between July 2017 to September 2018. Note: For Debit Notes, above condition must be considered with respect to Original Invoice Date. Example: Mr. Dev purchases cosmetic creams to supply it to a customer, then credit of ITC paid on purchases will be allowed. 7. Sale of membership in a club, health, fitness centre. Example: Mr. Dev takes the service of rent-a-cab to supply to Mr. Manoj, a customer, then credit of ITC paid on purchases will be allowed. 9.travel benefits extended to employees on vacation such as leave or home travel concession. 14. Goods or services or both received by a non-resident taxable person except for any of the goods imported by him. 16. ITC will not be available in the case of any tax paid due to non payment or short tax payment, excessive refund or ITC utilized or availed by the reason of fraud or willful misstatements or suppression of facts or confiscation and seizure of goods. To read understand the basics of Input Tax Credit, Click Here.